Botox in Maryland is a non-surgical treatment that offers men and women a way to combat these signs of aging and revitalize their skin. We naturally make various facial expressions every day, many of which are completely unconscious. However, these movements can cause certain muscles to become overactive and make skin more prone to wrinkling. This is especially common in areas like the forehead and between the eyebrows, where horizontal forehead lines and vertical frown lines develop. Here’s what patients can expect should they decide to treat forehead and frown lines with Botox in Maryland. 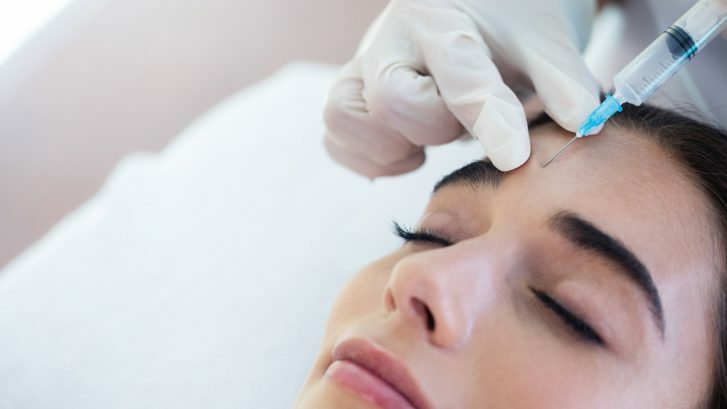 Botox is a neurotoxin that is FDA-approved to relax moderate to severe forehead lines, frown lines, and crow’s feet for a more refreshed appearance. It produces smoothing effects by blocking nerve signals and limiting contraction of overactive muscles in the treatment area. Not only does this reduce wrinkle-causing facial expressions, but it also diminishes lines and prevents them from deepening. Why Should You Try Botox in Maryland for Forehead and Frown Lines? Forehead and frown lines form over time, as we engage in certain facial movements, including frowning, squinting, concentrating, and raising our eyebrows, that cause skin to crease. If you are bothered by these wrinkles, you should consider treating forehead and frown lines with Botox in Maryland. The treatment is safe, effective, and requires zero downtime, and it can be performed in just 10-20 minutes in the comfort of your doctor’s office. Additionally, if you have particularly deep grooves, a dermal filler, such as Restylane or Juvederm, can work synergistically for forehead and frown lines with Botox in Maryland. This combination provides immediate improvement and also stops lines from becoming worse. Botox for forehead and frown lines produces quick results, and most patients note a visible reduction of wrinkles in 5-7 days. In the hands of a trained and experienced injector, like those at Mid-Atlantic Skin, Botox effects are extremely natural-looking and produce a well-rested and refreshed appearance. Treatment benefits typically last 3-4 months, at which time, follow-up injections will be needed to maintain smoothing effects. If you are interested in treating forehead and frown lines with Botox in Maryland, please contact us today to schedule an appointment with one of our highly-skilled and talented injectors.